Partner Prenatal Workshops offered quarterly, check Workshops page for upcoming dates. 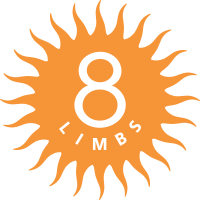 All Prenatal and Postnatal classes are included in 8 Limbs Memberships and Class Passes! Drop-ins are $22. Preparing for your Prenatal Class: Please eat something light one hour before class, drink plenty of water and read our the FAQ below prior to attending. Clothing layers are always encouraged at our studios as we do not have central air; dress lightly on hot days. Bring water and a snack bar with you. See below for Prenatal FAQ. Immerse yourself in Prenatal and Postnatal Yoga in the 8 Limbs Prenatal & Postnatal Yoga Teacher Training, which is also open and pertinent to students who are pregnant or hoping to conceive. When do I start Prenatal Yoga? There are varying opinions on when to begin a Prenatal Yoga class. Some recommend waiting until the second trimester while others believe that when the pregnant person is ready, it is time. It is a decision we ask that you make for yourself. We have had many pregnant people practice with us from 6 weeks to term. What is a typical Prenatal Yoga Class like? Most classes begin with a brief check-in circle so that teacher can be aware of any conditions that can be addressed within the practice. It can also be an opportunity to hear birth stories from participants who have “graduated” and get tips from the other students in the class. After a warm-up on the hands/elbows and knees, we practice standing postures to strengthen the legs and pelvic floor and to build endurance. Balance poses at the wall help to strengthen the core muscles. Hip openers help to keep the muscles around the pelvis flexible and strong. We always close with one or two resting positions to allow integration and to practice the art of stillness. What do I need to know about attending class? By following some basic studio etiquette, students help foster a safe, healthy and welcoming practice space for everyone. Please sign-in for class BEFORE class. Plan to arrive at least 5 minutes before class and stay until the end of class. If you arrive late, please enter the room quietly. We would rather you come late than miss class. Prior to entering the studio remove your shoes and turn off cell phones and pagers. Once in the studio, roll your mat out quietly in a circle formation. We ask all students to observe basic hygiene while attending class. Please have clean hands & feet, especially if using our yoga mat. Refrain from wearing perfumes and oils as others may be sensitive. We provide yoga props but always recommend use of personal mats. We almost always use blanket, bolster, block and strap. At the end of class, please put away all props neatly and in their proper place. Why does my class card have an expiration date? As a business we choose to have end dates for our record keeping. We encourage you to attend class weekly, though you have 6 months to use your card to allow for travel and complications. Also, there is a lovely sense of continuity when the same group attends class together; we want to support that process. What if I don’t finish my card before I give birth? If you deliver before using your classes and before your last class date you may use remaining classes in Postnatal Yoga. What happens if I can’t come to classes anymore? Please notify us if you are unable to attend classes for an extended period due to complications or bed rest. We will freeze your card until you are able to return, whether it is for more Prenatal classes or with your baby at Postnatal. We watch classes grow and shrink like a pregnant person’s belly but on the average, there are 5-20 pregnant people in evening classes and 8-15 in the weekend classes. Can I take other classes at 8 Limbs? It depends! We find that experienced yoginis who listen to their bodies as they change and are familiar with correct alignment do fine in SOME yoga classes. Please alert your teacher to your pregnancy so that he/she can help you with adaptations. We do recommend that you take Prenatal Yoga as well to learn what is/is not appropriate to practice. You can also invest in a Prenatal Yoga book or video that can teach this as well. Beginners are strongly encouraged to stick with Prenatal Yoga. Can my partner be involved? While Prenatal Yoga classes are expressly for pregnant people, we offer regular Prenatal Partner Yoga classes to integrate your yoga practice into your relationship/friendship. Makes a great date night! Visit the Workshop page for dates. Can I do yoga at 8 Limbs after I have my baby? Of course! We recommend our Pre/Postnatal and Postnatal Classes when you feel ready to come back to class. Babies are welcome! We also offer childcare at several classes at the Capitol Hill and Phinney Ridge studios, call for the current schedule.